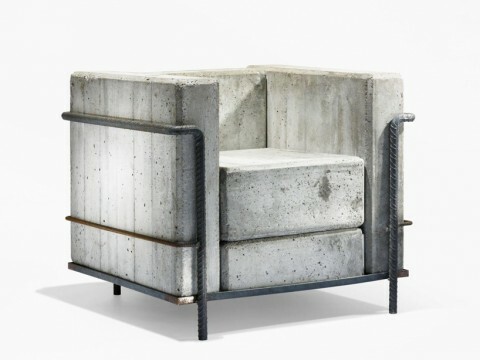 Couldn’t help but chuckle seeing this Concrete Chair by Stefan Zwicky, clearly a homage to Corbusier’s LC-2. Those thick metal wires give a great touch. It blends in really nice outdoors! I think I’ve seen these (or something similar) at an exhibition at Harvard last year. Pretty cool. I can’t really see anyone sitting in one of those longer then 10 minutes! Nice Design.. Really Nice Conpect with use for Concrete and Metals. Nice desing but it’s look like weird Chair. one day I might do event management and the next, working as a store detective. The idea of making a concrete chair is quite amazing in the public areas, farm house, garden and backyards only not great inside a home. Nice write-up, outdoor furniture is a immense interest I have!